Barcelona boss Ernesto Valverde has opted to leave star forwards Luis Suarez and Lionel Messi out of his squad to face Levante. Lionel Messi and Luis Suarez are absent from Barcelona's squad for the first leg of their Copa del Rey tie at Levante. Barca, who have won the tournament four years in a row, go to Ciutat de Valencia in the last 16 on Thursday. 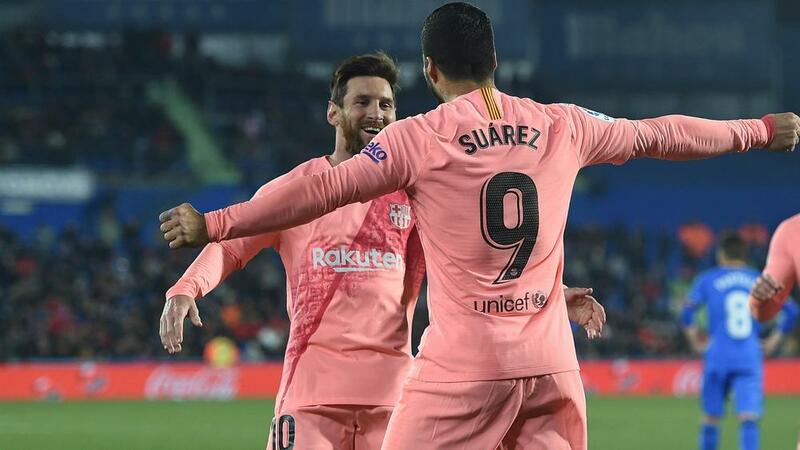 But they will do so without two of their leading lights as Ernesto Valverde has opted not to name Messi and Suarez in his squad. Jeison Murillo, a loan signing from Valencia, is in the group after being an unused substitute in a 2-1 win against Getafe last time out, Messi and Suarez scoring the goals. Munir El Haddadi is another absentee after Valverde indicated the striker, whose contract expires at the end of the season, has played his last game for the club. Valverde suggested at a pre-match news conference he was considering using midfielder Arturo Vidal in a more advanced role against Levante. Real Madrid Vs Barcelona – Preview!